The last month has been kinda crazy- I'm working on a house for my parents, another client, and hopefully another (I have an interview on Saturday). 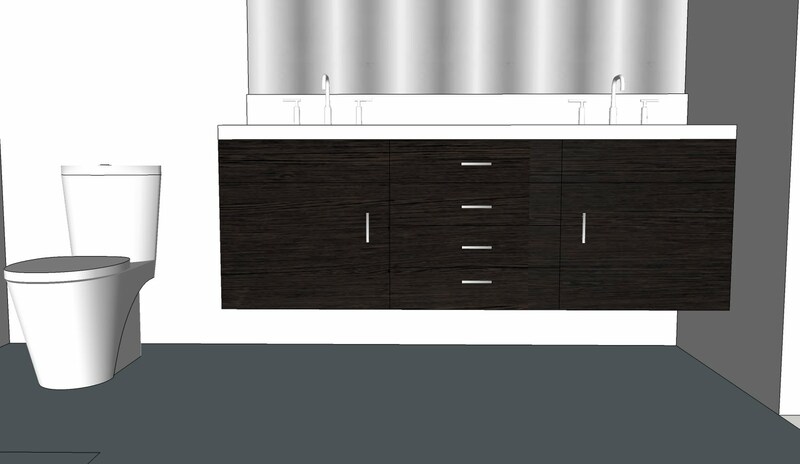 I've spent so much time designing the cabinetry I'm thinking about them in my sleep. It's hard for me not to obsess over every detail. 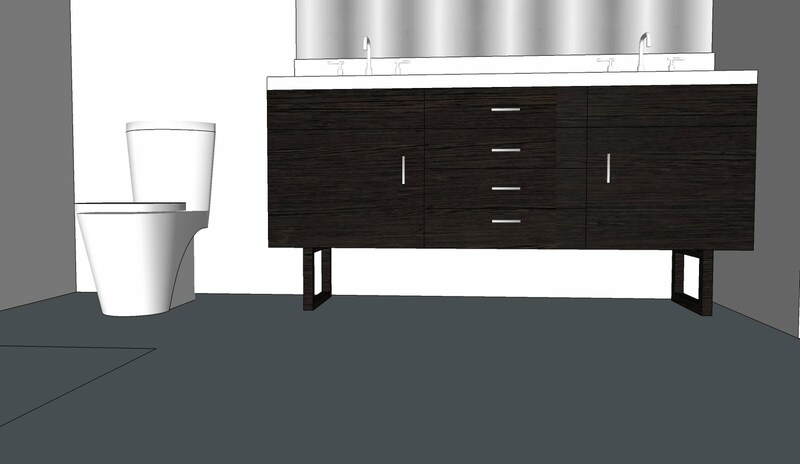 Here's the master bath vanity for one of the homes, I'm debating legs or no legs. Opinions are welcome.